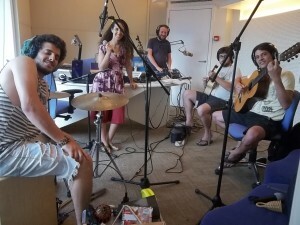 With Noa & “Cafezinho” group, just before the album was born, 2 years ago. With Ori Bankhalter on “Small World” program, Essence of life radio. Featuring Gabriel Marques, Daniel Ring & Ben Aylon. Tonight Cafezinho trio will perform in Folk-Ish Festival at Adolam ecological farm. Shabat shalom & happy new Hebrew year!